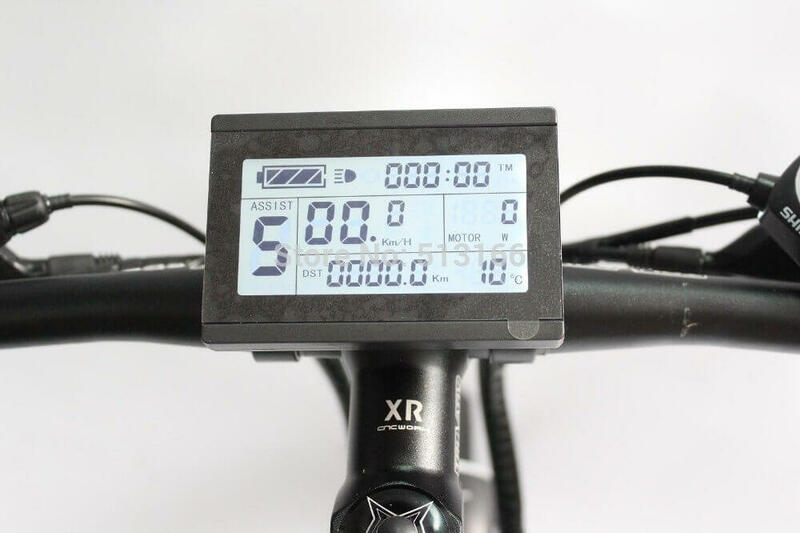 Whether you’re an ebike novice or a fanatic, an LCD display is a must-have addition to any electric bike. Providing safety and convenience, LCD displays are a handy way to view a whole multitude of things relating to your bike and travel. These generally include your average speed, maximum speed, clock, remaining battery, and distance travelled. All of these factors are invaluable throughout your journey, with the speed function allowing you to ensure that you are adhering to speed restrictions that you are riding safely and within the law. An LCD display also alerts you right away to when your battery is running low, so that you can adjust your riding style in order to preserve battery for when you really need it. Many LCD displays are also capable of throwing up error codes, so that you can see to any problems immediately before they endanger your safety. This can help you to diagnose a problem quickly rather than trying to work it out whilst your stuck by the roadside. LCD displays often also provide the handy option to switch between your different levels of power-assist with ease, meaning that you can focus on the road rather than fiddling with switches. This is especially handy when you need to climb a steep hill as you can increase your power-assist level before you grind to a halt. Displays battery icon, allowing you to see clearly when your running out of juice. Capable of showing either miles per hour or kilometres per hour, so that you can keep a close eye on your speed limit. Displays your level of pedal assist, so you can always see and control which mode you’re in. Showcases your distance travelled in either miles or kilometres, alongside a stopwatch so that you can keep pushing to meet your goals. Shows the output of the motor in watts so that you know how much power you’re using. Additional feature shows the outside temperature, so that you can dress appropriately for your journey. This is a simple but functional display with everything you need to complete your journey safely and with ease. Although it is slightly larger than some more compact models on the market, this is because it displays additional features. This is a good mid-range model with everything you need from an LCD display.